This isolated inverter is optimized for use in any application that requires PV array grounding, such as some thin-film models. This inverter has also been designed to serve all countries and regions with specific field-configurable set-ups available for all major country grid codes and display languages. 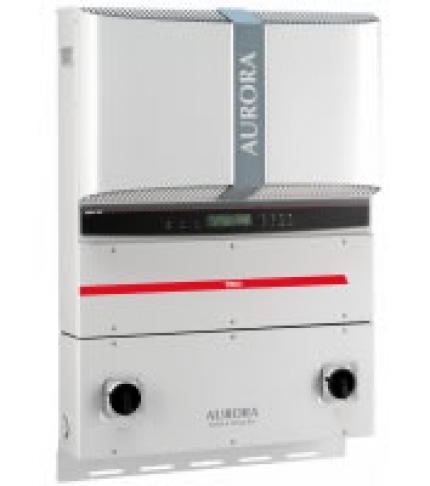 The 10.0kw & 12.0kw isolated inverters have all the usual Aurora benefits, including dual input section to process two strings with independent MPPT, high speed and precise MPPT algorithm for real-time power tracking and energy harvesting, as well as regular high performance efficiencies of up to 97.3%. The wide input voltage range makes the inverter suitable to low power installations with reduced string size. The high frequency isolated topology allows this unit to be lightweight and compact in size to help with transportation and installation. The unit is free of electrolytic capacitors, leading to a longer product lifetime. This rugged outdoor inverter has been designed as a completely sealed unit to withstand the harshest environmental conditions.